09/21/2018 – Grab a free Tobin Artichoke adventure! 09/03/2018 – The Prophecy must be fulfilled! 08/16/2018 – It’s my birthday – have a book on me! 08/10/2018 – Do not buy my book! 07/12/2018 – Altitude is a year old! 07/02/2018 – 11 ways you can be awesome! 05/31/2018 – Arkship Conquest is here! 05/15/2018 – Are you ready for Arkship Conquest? 05/07/2018 – Write, Eat, Sleep, Repeat. 05/01/2018 – Who killed the Sun? 04/25/2018 – Arkship Vengeance audiobook is out now! 10/05/2017 – Arkship Obsidian is out today! 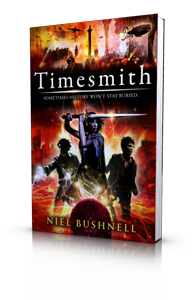 10/03/2017 – See the cover for my next book! 75% off Arkship Obsidian. Arkship Saga news, plus free stories! 09/24/2017 – Don’t miss out on 75% off Arkship Obsidian, Arkship Saga news, plus free stories! 09/08/2017 – Don’t miss out! 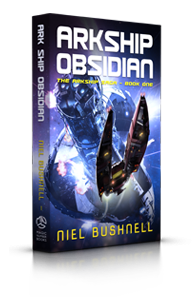 Pre-order Arkship Obsidian and get loads of Free Books & Stories! 09/04/2017 – Pre-order Arkship Obsidian and get loads of Free Books & Stories! 08/21/2017 – Arkship Countdown sneak peek plus Free Short Stories! 08/16/2017 – Latest News and Free Books! 08/11/2017 – It’s my birthday, so have 76% off Altitude for 76 hours! 07/17/2017 – Altitude is out now!